About a year and a half ago, a 6-year-old boy arrived at Children's Emergency Department after accidentally removing his own gastrointestinal feeding tube. He wasn't a stranger to Children's National Health System: This young patient had spent plenty of time at the hospital since birth. Diagnosed in infancy with an intestinal pseudo-obstruction, a rare condition in which his bowels acted as if there were a blockage even though one was not present, parts of his intestine died and had been removed through multiple surgeries. Because of this issue and associated health problems, at 4 years old he had a central line placed in a large vein that leads to his heart. That replaced other central lines placed in his neck earlier after those repeatedly broke. This latest central line in his chest also had frequent breaks. 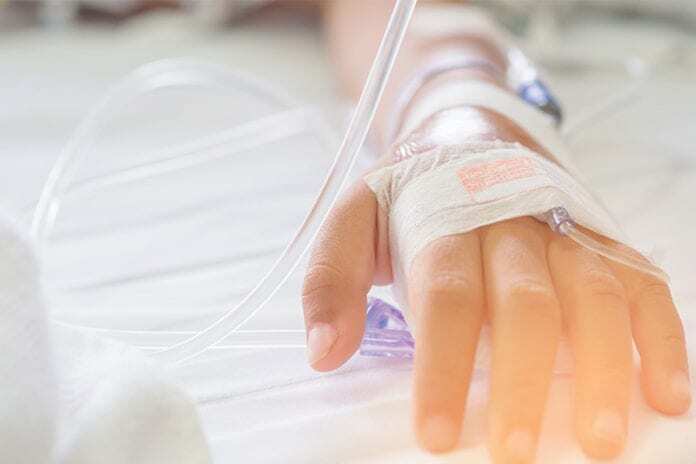 It also had become infected with multidrug-resistant Klebsiella bacteria two years before he was treated at Children's National for inadvertently removing his feeding tube. "No one expected him to grow anything from these cultures, especially from a child who looked so healthy," explains Madan Kumar, a fellow in Children's division of Pediatric Infectious Disease and a member of the child's care team. But a mold grew prolifically. Further investigation from a sample sent to the National Institutes of Health showed that it was a relatively new species known as Mucor velutinosus. Because such an infection had never been reported in a child whose immune system wasn't extremely compromised from cancer, Kumar and team decided to publish a case report. The study appeared online Jan. 24, 2018, in the Journal of the Pediatric Infectious Diseases Society. Kumar notes that this patient faced myriad challenges. Not only did he have a central line, but the line also had numerous problems, necessitating fixes that could increase the chance of infection. Additionally, because of his intestinal issues, he had a chronic problem with malabsorption of nutrients. Patients with this issue often are treated liberally with antibiotics. Although this intervention can kill "bad" bacteria that can cause an infection, they also knock out "good" bacteria that keep other microorganisms--like fungi--in check. On top of all of this, the patient was receiving a nutrient-rich formula in his central line to boost his caloric intake, yet another factor associated with infections. Patients who develop this specific fungal infection are overwhelmingly adults who are immunocompromised, Kumar explains, including those with diabetes, transplant recipients, patients with cancer and those who have abnormally low concentrations of immune cells called neutrophils in their blood. The only children who tend to get this infection are preterm infants of very low birth weight who haven't yet developed a robust immune response. Because there was only one other published case report about a child with M. velutinosus--a 1-year-old with brain cancer who had undergone a bone marrow transplant--Kumar notes that he and colleagues were at a loss as to how best to treat their patient. "There's a paucity of literature on what to do in a case like this," he says. Fortunately, the treatment they selected was successful. As soon as the cultures came back positive for this mold, the patient went on a three-week course of an antifungal drug known as amphotericin B. Surgeons also removed his infected central line and placed a new one. These efforts cured the patient's infection and preventing it from spreading and potentially causing the multi-organ failure associated with these types of infections. This case taught Kumar and colleagues quite a bit--knowledge that they wanted to share by publishing the case report. For example, it reinforces the importance of central line care. It also highlights the value of thoroughly investigating potential problems in a patient with risk factors, even one who appears otherwise healthy. Finally, Kumar adds, the case emphasizes the importance of good antibiotic stewardship, which can help prevent patients from developing sometimes deadly secondary infections like this one. "This is not an organism that you see growing in a 6-year-old very often," he says. "The fact that we saw it here speaks to the need to be judicious with broad-spectrum antibiotics so that we have a number of therapeutic options should we see unusual cases like this one."